Price Description: $20 Thur. $25 Fri. $27 Sat. $23 Sun $3 Active Military, Student & Senior Discount & Great Group Rates. This award-winning classic is a stunning musical-vérité about a chorus audition for a Broadway musical. It tells of the achingly poignant ambitions of professional Broadway gypsies to land a job in the show, and is a powerful metaphor for all human aspiration. NOTE: Contains adult content. The program can be downloaded here: A Chorus Line Program. Behind the scenes A Chorus Line interviews from cast member Brian Evans on the Sweatin’ the Small Stuff podcast. CORONADO, CA – Coronado Playhouse, the Community’s Theatre, presents the nine-time Tony Award®-winning singular sensation A Chorus Line from November 4 to December 11, 2016. Conceived and originally directed by Michael Bennett, with a book by James Kirkwood, music by Marvin Hamlisch and lyrics by Edward Kleban, A Chorus Line celebrates some of the hardest working people in American Musical Theatre, gifted dancers, singers and actors, who passionately pursue their desire to perform. Audiences glimpse into the private lives, taking an emotional behind-the-scenes look, of chorus dancers auditioning for a Broadway show highlighting the sacrifices and devotion, the triumphant successes and the tragedy of unrealized dreams required to make it. Featuring heart-wrenching intimate stories, dynamic choreography and unforgettable songs such as “I Hope I Get It!”, “At the Ballet”, “Nothing” and “One,” A Chorus Line was the recipient of numerous prestigious awards for its original Broadway production, including the 1976 Tony® Award for Best Musical, the Pulitzer Prize for Drama and the Drama Desk Award for Best Musical among many others. The music and message, still as fresh and true as ever, captures the excitement and drama that all performers face. A Chorus Line is for mature audiences only and includes adult language and situations. Coronado Playhouse has assembled the award-winning creative team of Thomas Fitzpatrick (director), Kirk Valles (music director) and Jennie Gray Connard & Shirley Johnston (co-choreographers), who have re-staged the original Broadway choreography, alongside a cast of Playhouse favorites and new talent. During the run of this production, Coronado Playhouse, The Community’s Theatre, is also raising money and awareness to benefit The Jacobs & Cushman San Diego Food Bank. Join our campaign “From Soup Line to Chorus Line” and bring canned goods and non-perishable food items to any performance as a donation. 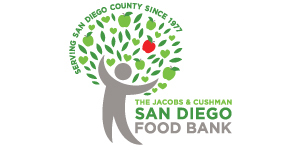 The Jacobs & Cushman San Diego Food Bank and the North County Food Bank feed 400,000 people per month in partnership with 400 nonprofit community partners that operate feeding programs. Food donations are distributed to area food pantries, soup kitchens, shelters, low-income daycare centers, senior centers, faith-based organizations, schools, and day centers for the elderly and disabled. According to a 2014 U.S. Census Community Survey, almost 470,000 people in San Diego County live below the poverty level and 140,000 of them are children. Items most needed include canned meats and tuna, peanut butter, canned soups, fruits, vegetables and beans. Also on the list are spaghetti, cereal, rice and macaroni and cheese. The A Chorus Line cast features: Amanda Arbues (Diana), Bruno Bosardi (Larry), Marc Caro-Willcox (Mark), Oliver Caro-Willcox (Bobby), Brian Evans (Gregory), Audrey Eytchison (Val), Alyssa Guttendorf (Sheila), Taylor D. Henderson (Judy), Reggie Hutchins (Ritchie), Rob Johnston (Zach), Shirley Johnston (Cassie), Ryan Luster (Al), Taylor Magee (Maggie), Patrick Mayuyu (Mike), Roxie Peters (Kristine), Cecile Pham (Connie), Kaitlyn Summers (Bebe),Todd Sutton (Don), Ritchie Valenzuela (Paul), and includes Pamela Basurto (Tricia), Shane Bushouer (Roy), Madison Gray (Lois), Jillian Jackson (Vicki) and Kevin Phan (Frank). The A Chorus Line creative and production team includes: Thomas Fitzpatrick (Director), Kirk Valles (Musical Director), Jennie Gray Connard (Restaging the original choreography) Shirley Johnston (Co-Choreographer), Barron Henzel (Producer), Barron Henzel (Set Design) Chad Oakley (Lighting Design), Kathy Parks (Stage Manager), Larry McNamer (Sound Design), Shelly Crickett (Costume Design) Pam Everett (Props & Dressing). Friday, November 4 at 6:30p.m. Don’t miss this “singular sensation” buffet dinner and show for only $50 per person. 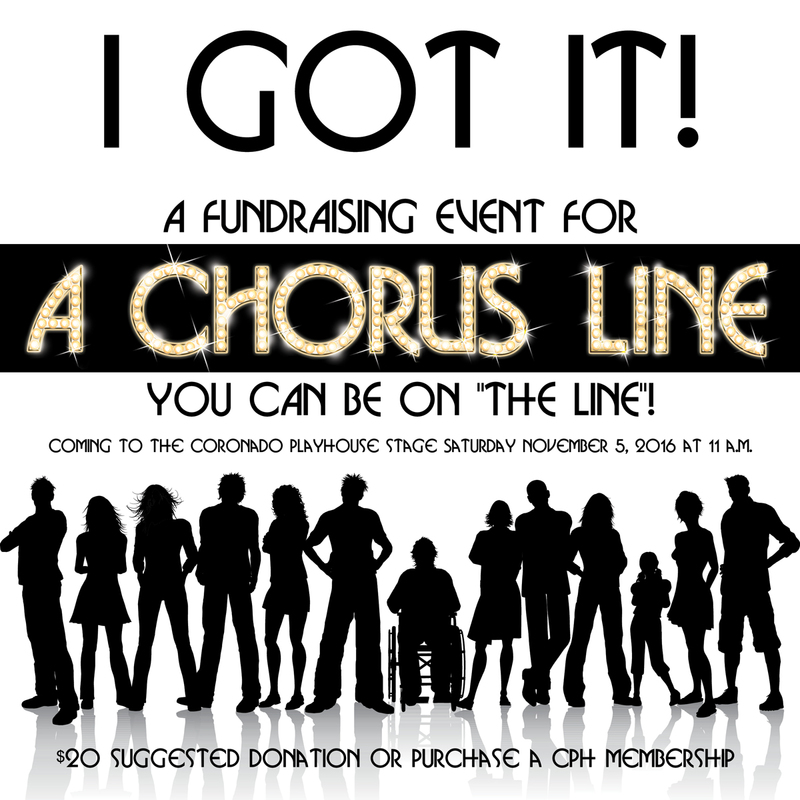 The delicious meal is served from 6:30-7:30 p.m. Show starts at 8 p.m.
“I Got It!” A Fundraising Event for A Chorus Line. Saturday November 5th 11 a.m.-1 p.m. Your chance to support the theatre and walk away with a new appreciation of what it takes to be “on the line”. Learn some of the classic steps from the original dance movement taught by show choreographer, Jennie Gray Connard. This is a fun event open to everyone and is offered to all levels of ability. Please make a $20 suggested donation or admission is free with the purchase of a new CPH membership at any level. Go to CoronadoPlayhouse.com/igotit for details and payment options. Thursday, November 10 at 6:30p.m. Blue Chip Wines is once again bringing his expertise and fine wines to the Playhouse. TICKETS: $20-$27. Active Duty Military, Student and Senior discounts. Group rates are available. 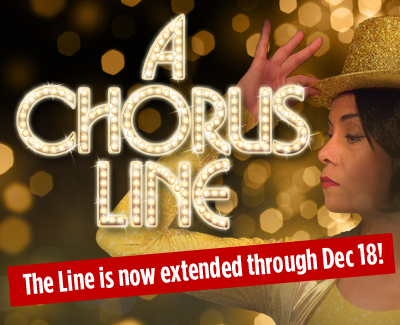 A Chorus Line is for mature audiences only and includes adult language and situations. 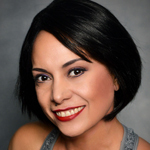 A Chorus Line is presented by arrangement with TAMS-WITMARK MUSIC LIBRARY, INC.
PAMELA BASURTO (Tricia/Ensemble) is excited to be making her Coronado Playhouse debut in A Chorus Line. 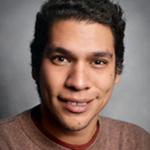 Previous credits include: Extraordinary Girl in American Idiot (Patio Playhouse), Carla in In the Heights (Southwestern College), Yazmin in Water By the Spoonful (SDSU), and Titania in A Midsummer Night’s Dream (SDSU) amongst other roles. 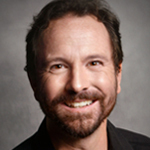 SHANE BUSHOUER (Roy/Ensemble) is happy to be part of the Coronado Playhouse stage production of A Chorus Line. Shane enjoys singing and acting almost as much as he enjoys partying! 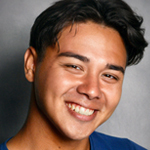 In 2015 Shane was one of Ten San Diego County high school students named finalists in the Ben Vereen Awards. He hopes you enjoy the show! 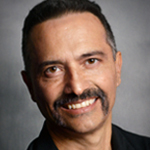 BRUNO BOSARDI (Larry) is ecstatic to be on the Coronado Playhouse stage in A Chorus Line playing Larry – the dance captain. He loves working with such an amazingly talented cast. His previous credits include being a cast member in Cinderella and The Best Little Whorehouse in Texas. When Bruno is not performing or choreographing he owns and operates The Body Alchemist, a local Pilates and Gyrotonics studio. 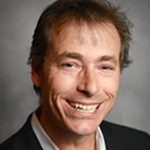 MARC CARO-WILCOX (Mark Anthony) is thrilled to be back on the Coronado Playhouse stage having previously performed as a Wickersham Brother in Seussical. 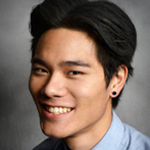 Marc has studied modern, jazz and contemporary dance under the direction of Katie Pipes (KO Dance Co.) and Spencer Powell (Visionary Dance Theatre). Other credits include: Seaweed (Hairspray), Choreo: New Conservatory Theatre of SF, Young Actors Theatre, Helix High School. OLIVER CARO-WILLCOX (Bobby) is proud to be returning to Coronado Playhouse in this production of A Chorus Line. His Coronado Playhouse premier was as The General in Suessical (2016). He also appeared as Eugene in Grease (OnStage Playhouse). His SDCC credits include: Seymour in Little Shop of Horrors, Pharaoh in Joseph and the Amazing Dreamcoat, and Al in A Chorus Line. 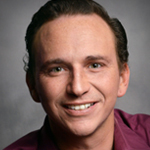 BRIAN P. EVANS (Greg) was last seen at Coronado Playhouse playing Miss Texas in Pageant and Patrick O’Reilly in The Musical Comedy Murders of 1940. Other roles include Frank Wyman (Mack & Mabel), Frank Doel (84 Charing Cross Road), Evelyn/Rupert Farrant (Corpse! ), Mozart (Amadeus) and Sherlock Holmes (Sherlock Holmes’ Excellent Adventure). Brian is the host of Sweatin’ the Small Stuff, a podcast about the details. AUDREY EYTCHISON (Val Clarke) is beyond thrilled to be making her Coronado Playhouse debut! Originally a dancer, she started her theatre career in 2015 with her first Off-Broadway show, Can You Hear Me, Betty White? (Estelle). She graduated from University of California, Irvine in 2015 with a degree in drama and currently choreographs and performs year-round at Legoland California Resort. Audrey would love to give a very special thanks to this brilliant production team, her wonderfully supportive family and dood. MADISON GRAY (Lois/Ensemble) is happy to be a part of her first production in A Chorus Line with Coronado Playhouse! Her last show performance was through Grossmont College’s Stage House Theatre in 80 Days: The Musical! (2016) as the witty balloon pilot, Susan Wright, an ensemble member and the shows dance captain. 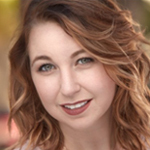 ALYSSA GUTTENDORF (Sheila) is thrilled to be making her Coronado Playhouse and San Diego theatre debut! 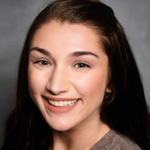 Alyssa last appeared in Grease (Rizzo) and Fame (Featured Dancer) in Fairfax, Virginia (KMT). Other favorite credits include: Oliver (Bet), Oklahoma and The Music Man in Hawaii (ACT), and The Best Christmas Pageant Ever (Beth) and Cinderella at Diamond Head Theatre. 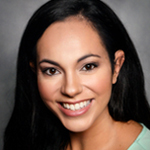 Alyssa has a BA from Penn State, where she was 4-year member of the NDA championship-winning Lionettes Dance Team. 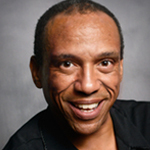 REGGIE HUTCHINS (Richie) is happy to be back at Coronado Playhouse after appearing as The Judge and Featured Dancer in Chicago (2014), where he was nominated for numerous theater awards. Elsewhere: Lil Albert in Dreamgirls (2012) and The Butler / Gadd in Joseph and The Amazing Technicolor Dreamcoat (2013) (SDMT); lead role in Tik-Tok (2014) (OZ Convention); supporting roles in AIDA and Ragtime (2009) (Starlight Theater); Smokey Joes Café, Little Shop Of Horrors and Anything Goes (2008) (Saville Theatre) and H.M.S. Pinafore (Lyric Opera). 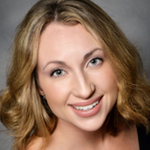 JILLIAN JACKSON (Vicki/Ensemble) is excited to be making her debut on the Coronado Playhouse stage. 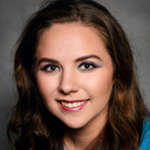 She is a senior at SDSU earning a BA in Music with an emphasis in Voice and a minor in Theater. Equally at home in opera and musical theater her favorite roles include the title role in Amelia Goes to the Ball, Mama/Sarah Longstreet (High Button Shoes), Minnie Fay (Hello Dolly), Conversa (Suor Angelica) and Billy’s Mum (Billy Elliot – The Musical). SHIRLEY JOHNSTON (Cassie) is very happy to be back at the Coronado Playhouse and she’s excited beyond words to be working opposite her husband, Rob Johnston! She was last seen at Coronado in Godspell in Concert, then at Moxie Theatre in Ruthless the Musical, and Lucy in Avenue Q at the OB Playhouse. Some more of Shirley’s favorite roles: The Witch in Big Fish, Brenda in Smokey Joe’s Cafe and Charlayne in Ain’t Misbehavin’ (Moonlight Stage Productions), Charlotte in A Little Night Music and Bonnie in Anything Goes (Lyric Opera San Diego). Shirley would like to thank Tom, Barron and Jennie for this amazing opportunity, the incredible cast for truly working together as a team, the incomparable band for being the beat that inspires us to dance in the first place and thank you especially to her husband Robert for being the ultimate dance partner through this journey called life. “All I ever needed was the music and the mirror and the chance to dance for you.” Thank YOU for supporting live theatre! RYAN LUSTER (Al DeLuca) was recently seen in Seussical the Musical at Coronado Playhouse. Previous credits include Les Miserables, Ragtime, Smokey Joe’s Cafe, Honk, Cabaret, Thoroughly Modern Millie, Cats, Urinetown, Chicago, Yours Anne, and Joseph and the Amazing Technicolor™ Dreamcoat. He would like to thank Tom, Kirk and Jennie for giving him this opportunity! 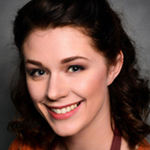 TAYLOR MAGEE (Maggie) is thrilled to be debuting in San Diego at Coronado Playhouse! She is excited to be in her first huge dance show as one of her dream roles. Some of her recent roles include Nellie in South Pacific, Cinderella in Into the Woods, Joan in Dames at Sea, and Philia in A Funny Thing…Forum. 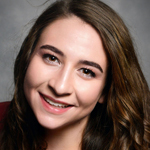 She has won five MACY awards and will be graduating with her Theatre Performance degree this Spring from SDSU. She would like to thank Tyler, Sass, and her mother for always encouraging her to shine without a spotlight. PATRICK MAYUYU (Mike) was last seen at Coronado Playhouse as Ching Ho in Thoroughly Modern Millie (Aubrey Nomination, Blue Ribbon Nomination) and has performed on many local stages including San Diego REP, Diversionary, ion Theatre, OnStage Playhouse and SD Asian-American Rep. An actor, dancer, singer, choreographer, published poet, activist and karaoke enthusiast, Patrick is also a proud company member of InnerMission Productions. He is grateful to his family and friends for their never-ending support. ROXIE PETERS (Kristine Urich-DeLuca) is delighted to be back at Coronado Playhouse, and to be performing in one of her dream shows playing such a fun and quirky character. Other San Diego productions include Spamalot (Coronado Playhouse), Avenue Q and Kids Musicals: LIVE! (OB Playhouse), and Little Shop of Horrors (Lyceum). She has also performed in recent concerts with the Mesa dance company. She hasn’t enough bio room to express how exciting this experience has been– and she hopes you like the show! 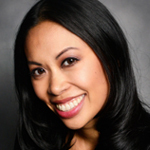 CECILE PHAM (Connie Wong) is excited to join Coronado Playhouse after an 8-year hiatus from the stage. She previously appeared as Liat in CCT’s production of South Pacific (2007) and was part of the ensemble for Hello Dolly (2008). Prior to that she appeared as Rosa Bud in The Mystery of Edwin Drood (UCSD Muir Musical). Her past 5 years have been focused primarily on ballet at Del Mar Ballet. 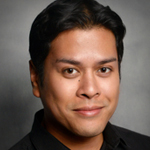 KEVIN PHAN (Frank/Ensemble) is excited to be in his first show with Coronado Playhouse. 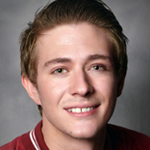 His recent credits include playing Johnny in American Idiot (Patio Playhouse), Moritz in Spring Awakening (Paloma College), Jack in Into the Woods, and Enjolras in Les Miserables (Star Repertory). Kevin wants to thank his family and friends for their continued support and wishes the cast of A Chorus Line a wonderful run. 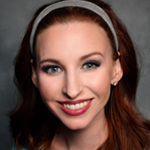 KATILYN SUMMERS (Bebe) is thrilled to be making her Coronado Playhouse debut in A Chorus Line! Favorite credits include: Evita (Ensemble), Hello Dolly (Ensemble), Urinetown (Dr. Billeaux), Guys and Dolls (Agatha). Lots of love and thanks to God, Mom, Dad, Allie, Grandma and Grandpa, Emily, and all of her amazingly supportive friends for being her rock in the crazy journey of life. Proud alumnae of the University of California, Irvine. TODD SUTTON (Don Kerr) is stoked to step-kick-kick-leap-kick-touch in A Chorus Line. He recently appeared in Kids Musicals: Live! (OB Playhouse). This was his favorite show and the 1st time properly performing with his lovely wife Sarah. His 2nd favorite show was when he performed the role of the First Henchman, one of three tap dancing gangsters, alongside his son, Ben, in Sugar (CPH). He has a few 3rd favorites so we will save that for another day. He is happy to be working with Tom and Jennie again. 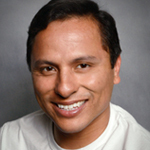 RITCHIE VALENZUELA (Paul San Marco) is happy to make his Coronado Playhouse debut in a dream show and a dream role. He is a graduate of the American Musical and Dramatic Academy, NYC. Theatre Credits: In the Heights (Kevin), Zanna Don’t! (Mike), The Mousetrap (Christopher), Footloose (Lyle), Fiddler on the Roof (Dance Captain), Hello Dolly! (DC), White Christmas, Flower Drum Song, Traditions of Christmas, Evita!, (Ensemble). Television: Dos y Dos; Season 1&2 (Fernando) Video: The Jumpitz! (Antonio). Thomas Fitzpatrick (Director) directed last summer’s award-winning Coronado Playhouse/Pickwick Players co-production of A Year with Frog and Toad as well as CPH’s Vanya and Sonia and Masha and Spike, Sleeping Beauty or The Famous Rose Taboo, The Best Little Whorehouse in Texas, The Drowsy Chaperone, Cinderella and The It Girl. He performed in CPH’s Spamalot, and in productions at Diversionary, Lyceum, Avo Playhouse, The Broadway, SD Lyric Opera, Lamplighters, OnStage and Pickwick, etc. Other directing credits: Nunsense, Zombie Prom (Pickwick), Grease (OnStage), A Taffeta Christmas (Pickwick/OnStage) and Dames at Sea (Lamplighters). Love to B, F & F! Jennie Gray Connard (Choreographer) is quite giddy to be back “home” at Coronado Playhouse with her favorite production team. 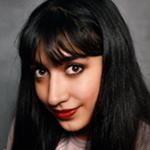 She is an actor, director, choreographer who has been working at San Diego theatres since the age of 8 years old. Her most recent endeavor is as Owner/Artistic Director of the OB Playhouse & Theatre Company and she couldn’t be more thrilled or grateful to her husband for making her dream a reality. Jennie would like to thank Tom, Barron and Kirk for their belief, support and love, Shirley for being her ROCK and her family and friends who make this life the best life imagined. 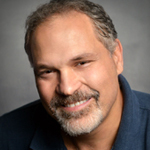 Barron Henzel (Producer/Set Design) co-produced Sugar,Thoroughly Modern Millie, Sherlock Holmes: The Final Adventure (Aubrey), TBLWIT (Aubrey), The Drowsy Chaperone (Aubrey), Cinderella (Aubrey) and The IT Girl at Coronado Playhouse. He assistant directed Dames at Sea (Lamplighters). Favorite acting credits: A Little Night Music, Frog and Toad (Aubrey), Sleeping Beauty, Pageant, Much Ado, Pump Boys, Angels Among Us (Coronado Playhouse); Grease (OnStage)(Aldea Award); They’re Playing Our Song (Scripps Ranch); The Busy World is Hushed, Torch Song Trilogy, Handsome Men (Diversionary); Trolls, Miss Mcinerney’s Acquaintances (6th @ Penn). 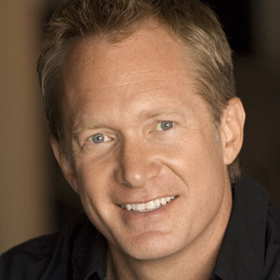 Barron is president of the Coronado Playhouse Board of Directors. 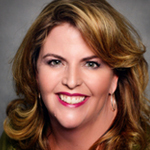 Shelly Crickett (Costume Design)is happy to be back costuming at Coronado Playhouse. She recently costumed Sordid LIves, Vanya and Sonia and Masha and Spike, and co-costumed The Best Little Whore House in Texas at CPH. She has also costumed several shows for Onstage Playhouse and Pickwick Players. 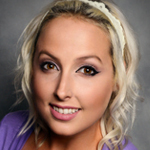 She is a kindergarten teacher and enjoys working with this talented cast and production team. She would like to thank her family, friends who have supported her during this endeavor. 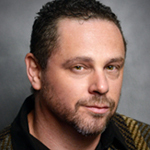 Chad Oakley (Lighting Design) Recent work at CPH includes lighting designs for Sordid Lives, A Little Night Music, Romeo and Juliet, Chicago and Pageant (Aubrey Award) and Assistant Director and Set Design for Tartuffe. Other light designs include Disappearing Act and Precious Little (Innermission Productions), Lost in the Pines (Magnetic North) and Good People, Buddy: The Buddy Holly Story, Coyote on a Fence and The Glass Menagerie (Aubrey Award, OnStage Playhouse). Kathy Parks (Stage Manager) has worked backstage at many shows at Coronado Playhouse, Trinity Theatre and Pickwick Players. She is thrilled to be working on one of her favorite musicals with such an exceptional cast and production team. Thanks to her sons Connor and Sean Paul Boyd for bringing her into this crazy world of theatre. She hopes you all enjoy the show. Don’t miss this special buffet dinner and show for only $50 per person. The delicious catered meal will be served from 6:30-7:30pm. Show starts at 8pm. Saturday November 5th 11a.m.-1 p.m. Learn some of the classic steps from the original choreography taught by choreographer, Jennie Gray Connard. This class will be taught to all levels. Walk away with a new appreciation of what it takes to be “on the line”, and a photo of your efforts. $20 suggested donation, Admission is free with a new membership at any level. Go to CoronadoPlayhouse.com/igotit for details. Before the show, join other theatre and wine lovers for a fun pre-show mixer, including wine tastings and hors d’oeuvres pairings, for an additional $10 add-on. Thierry Hénot of blue ship wines is once again bringing his expertise and fine wines to the Playhouse. Add on may be purchased along with your ticket. Join our campaign “From Soup Line to Chorus Line” and bring canned goods and non-perishable food items to any performance as a donation. The Jacobs & Cushman San Diego Food Bank and the North County Food Bank feed 400,000 people per month in partnership with 400 nonprofit community partners that operate feeding programs. Food donations are distributed to area food pantries, soup kitchens, shelters, low-income daycare centers, senior centers, faith-based organizations, schools, and day centers for the elderly and disabled. According to a 2014 U.S. Census Community Survey, almost 470,000 people in San Diego County live below the poverty level and 140,000 of them are children.